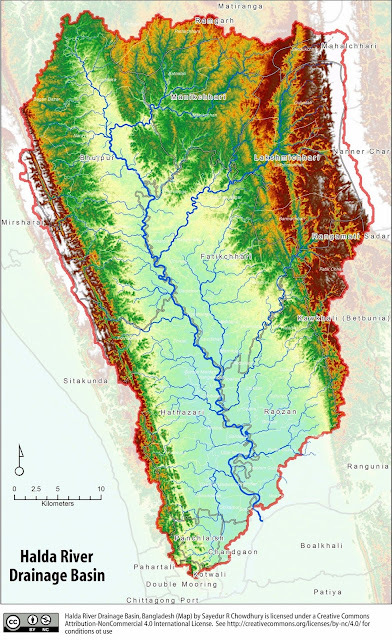 Halda River Drainage Basin (Map) by Sayedur R Chowdhury is licensed under a Creative Commons Attribution 4.0-NonCommercial License. See http://creativecommons.org/licenses/by-nc/4.0/ for conditions of use. An interactive online map can be accessed on ArcGIS Online. 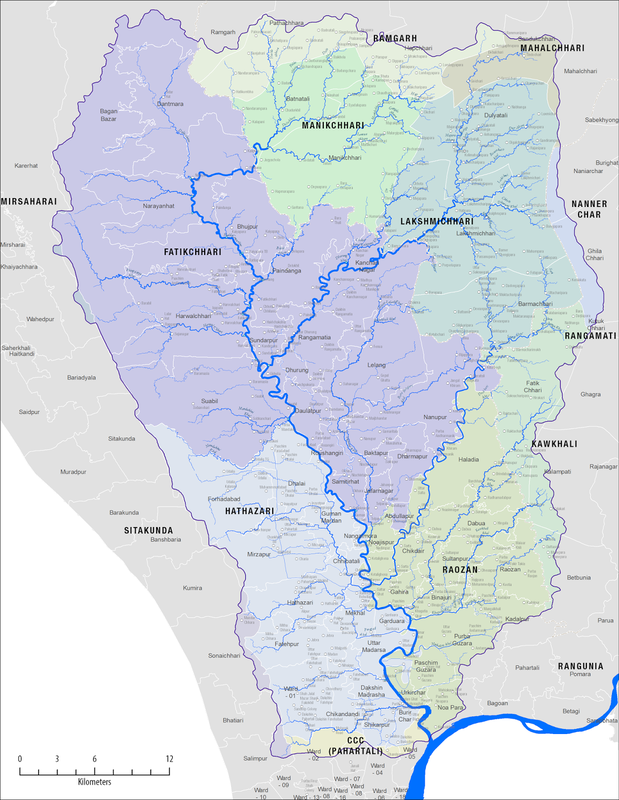 A updated version of the watershed (2015). Digitization of features assisted by research students Razat Suvra Das, Milan K Shiuli and Shuva Sarker.